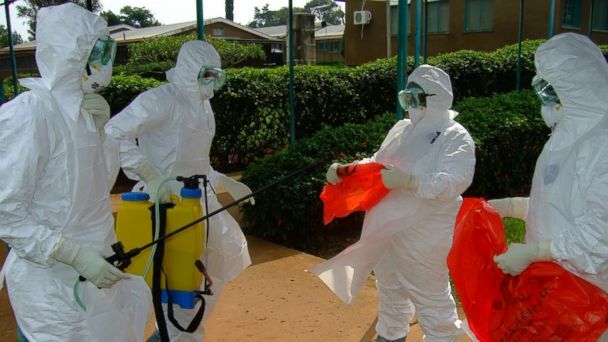 The number of deaths from the Ebola virus in Guinea has passed 100, the UN World Health Organization (WHO) says. It was “one of the most challenging Ebola outbreaks we have ever dealt with” and could take another four months to contain, the WHO said. The Ebola virus had now killed 101 people in Guinea and 10 in Liberia, it said. Ebola is spread by close contact and kills between 25% and 90% of its victims. Many West African states have porous borders, and people travel frequently between countries. Southern Guinea is at the epicenter of the outbreak, with the first case reported last month. The geographical spread of the outbreak is continuing to make it particularly challenging to contain – past outbreaks have involved much smaller areas. “We fully expect to be engaged in this outbreak for the next two to three to four months before we are comfortable that we are through it,” Keija Fukuda, WHO’s assistant director-general, said at a news briefing in Geneva, Reuters news agency reports. The WHO said 157 suspected cases had been recorded in Guinea, including 20 in the capital, Conakry. Sixty-seven of the cases have been confirmed as Ebola, it added. In neighboring Liberia, 21 cases had been reported, with five confirmed as Ebola, the WHO said. Mali had reported 9 suspected cases, but medical tests done so far showed that two of them did not have Ebola, it said. Last week, Mali said it was on high alert because of fears of an outbreak of the tropical virus and it would tighten border controls. Saudi Arabia has suspended visas for Muslim pilgrims from Guinea and Liberia, in a sign of the growing unease about the outbreak. This is the first known outbreak in Guinea – most recent cases have been thousands of miles away in the Democratic Republic of Congo and Uganda. Ebola leads to haemorrhagic fever, causing muscle pain, weakness, vomiting, diarrhoea and, in severe cases, organ failure and unstoppable bleeding.